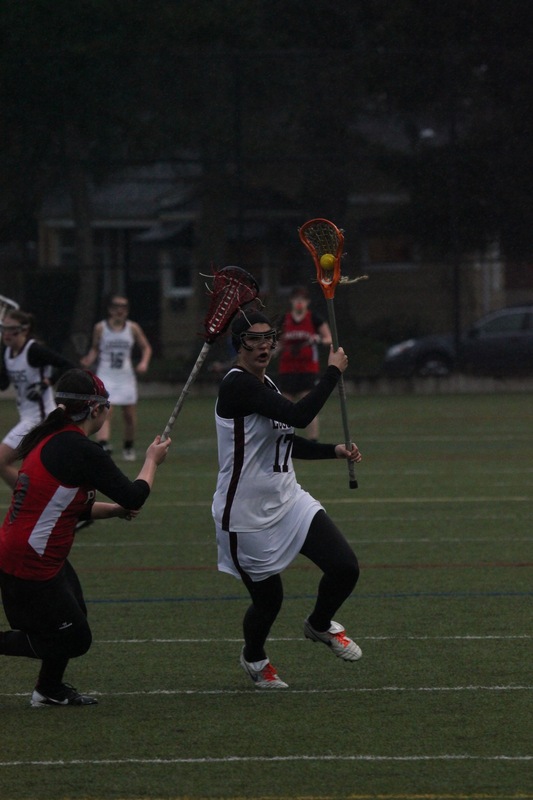 With the season near its final week, the women’s lacrosse team is looking toward their final matches with anticipation. Recovering from their losses last season and over the break, the team seeks to leave their mark in the final stretch. “This has been a great transition season for us this year. Coming off a lot of hard losses last year we have been able to come back with strengths from our upperclassmen but also our new incoming players. We started off the season with a very strong win against Linfield and also found success against visiting North Central College and Smith,” said head coach Liana Halstead. “We are looking forward to our next few games where we can really focus on making every shot count, moving the ball up the field flawlessly and to have our defense continue to play as a unit through the entire game,” Halstead continued. The Loggers were likely feeling a bit of momentum as well, having just come off of a rousing victory over Smith that snapped a three-game losing streak. This past week, the Loggers played host against Carthage on March 28. And, although the Loggers pressed two furious comebacks, they fell just one goal short and suffered a 12-11 defeat. Carthage (3-4) took a two-goal lead at the game’s start and held the Loggers (3-5) to just one goal in the first 20 minutes of the match. Down 4-1, senior Julia Schulman (Durham, N.C.) scored her first goal and ended a 12 minute scoring drought with less than 10 minutes left in the first half. The Lady Reds responded quickly with Carthage’s Lauren Chatham scoring the second of her five goals, but the Loggers were undeterred. Senior Bradia Holmes (Boulder, Colo.) hit the back of the net with just eight seconds to go to pull the Loggers within two of the Lady Reds at the half. Carthage looked to be taking a strong lead, making the first four goals in the second half. Down 8-4, the Loggers mounted a furious attack and made three consecutive goals to trail by just one shot. Sophomore Caroline Cook (Orinida, Calif.) made a free position shot with 16:28 and senior Grace Reid (Kirkland, Wash.) added a goal a mere 22 seconds later. Freshman Kerri Smith (Kirkland, Wash.) added to the board with her second goal of the day and put the score at 8-7. However, the Logger run was short lived as Carthage moved on the offensive and extended their lead back to four. The 12-8 deficit, however, added fuel the Logger fire and the Loggers quickly came back to life. Schulman added three goals to the board as Cook added one for a 4-0 Logger run. With 5:57 left in the contest, the Loggers attempted to gain ground. Although they lost the draw, senior Linnea Bostrom (Middleton, R.I.) made a phenomenal save to keep the Logger deficit at one. The Loggers will host their final match on Sunday April 7 against Linfield. The match begins at 1 p.m.